Yes, I completely forgot to blog about the March YBD thanks to a whole bunch of uni deadlines and the general teacher workload. However, this months You Beauty Discovery box theme is organic and natural products, focusing on skincare without all the nasties. From the product selection, I chose the Scentered Sleep Well Therapy Balm (RRP £14.50) and the Our Tiny Bees Lavender Hand Balm + Beeswax Lip Balm Duo (RRP £7.95 and £3.95). I first read about the Scentered balms on British Beauty Blogger a few weeks ago and so when I received the YBD product list email, I knew straight away to add this to my box. The idea behind the Scentered balm is that it is applied to the pulse points (on wrist/neck) and then you allow the scent of the aromatherapy oils to work. It's 100% natural and I'm hoping it'll be a good alternative to the This Works Sleep Plus+ Pillow Spray (which unfortunately contains gelatine). I carried on with the Lavender theme of the box and also picked the Our Tiny Bees duo as the next product. I love my usual hand creams but the hand balm will be great for a quick hand massage during the day, and so will be kept on my desk. I don't really need any more lip balms, but this one doesn't have a scent and would be great to apply before lip colour as it doesn't leave your lips really shiny. Plus both products are made of all natural ingredients and use British honey and beeswax. 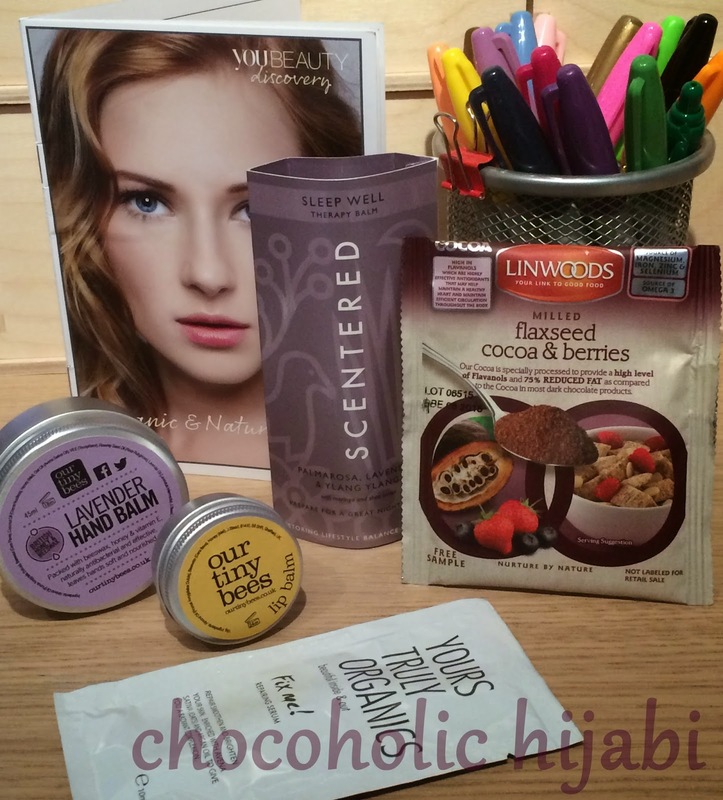 The extra's in the box this month were samples of Linwood's Flaxseed Cocoa & Berries and Yours Truly Organic Repair Serum. The serum doesn't really appeal to me, but I am keen to try out the flaxseed as an addition to plain yoghurt. The total value of this box is £26.40, with all the products being full size, which is definitely worth it considering the YBD box only costs £6.95. It's the only treat I get due to my student budget! What do you think of YBD boxes?